What a month! I have been very lazy after Thunder Road and trying to recover from the race physically and mentally. Aside from the recovery process, running/training was very uneventful. By looking at the log, I ran 29 miles for the week of 11/26 ~ 12/02 with a 40m’50s’ at MCRRC Seneca Slope XC 9K. It has a very challenge and beautiful course. For the week of 12/03 ~ 12/09, I ran another 29 miles week with a 31m’45s’ finished at MCRRC Jingle Bell 8K. Nothing is very special here. For the week of 12/10~12/16, I increased some mileage as I slowly going back into training and ran 36 miles for the week. The most notable run for the week was Wednesday track workout. I used MCRRC track schedule for 6x1K with 600m recover. I got to the track and met up with Ross for some quick warm up, and then we were off to go. We took turn to be the leader for the workout and we clocked: 3m’36.75, 3m’28.18, 3m’32.33, 3m’32.55, 3m’32.93, and 3m’29.35. I felt so good afterward and ran additional two 400m (1m’22.87 & 1m’22.25) during my cool down. I logged total of 8.3 miles for the night after everything done. For the week of 12/17 ~ 12/23, I ran 37 miles with an excellent track workout. For this week, MCRRC schedule has two parts, first was 6x800m with 400 recovery jog, and then if you feel good, you can do 8x200m with 100m recovery jog. Ross and I met up early enough to do some warm up, then we off to go. For the 800m, we clocked: 3m’03.57, 3m’04.28, 2m’50.01, 2m’52.67, 2m’58.17, and 2m’48.83. We felt good and we do the second part; we ran 39.40s’, 41.23s’, 41.41s’, 37.72s’, 38.98s’, 35.95s’, 37.72s’, and 37.43s’. I logged a total of 8 miles with a lengthy warm down. For the week of 12/24 ~ 12/30, I ventured down to Johnson City TN with Lin for holiday. Her family lives off 2-mile from the ETSU campus and is located on the top of a hill. No matter which direction I ran, I will end up finished uphill. Because of holiday, I didn’t log as many miles I wanted. On Thursday night, I ran with a group of local runners from Footrx store in a pretty rolling neighborhood. That didn’t tire me out; I did a pretty good workout the very next day on Liberty Bell Park Hilltopper Track. The plan was to run 4x1600 with 800m break and 4x200m with 200m break. I wasn’t trying to run hard, since a winter storm was arriving to Johnson City and I clocked 6m’13.5, 6m’19.1, 6m’22.5, and 6m’24.6 for the mile and 39.8s’, 39.2s’, 36.6s’, and 36.7s’ for the 200s. I logged total of 11 miles afterward included warm up/down, workout, & recovery jog. I thought I would be tired, but I wasn’t. I got in pretty solid 7 hours sleep that night, and then get up around 8, had some coffee. By 09:30, I was out doing my long run. I planned for 12 miles around the VA campus, since this campus has a two miles loop round it. About 2 miles into my run, snow flake started coming down on me, and that was pretty awesome. However, it was little too windy and cold. Both my pinkies felt frozen afterward, but I got run done, and it was the longest run since marathon. I took Sunday off and went to Linville Fall NC with Lin to hike around the snowy mountain/water fall; which was pretty awesome. I ran 4.6 miles the morning of 12/31/2012 New Year eve as gearing up a local New Years’ Day 5K and miler on January 1, 2013. 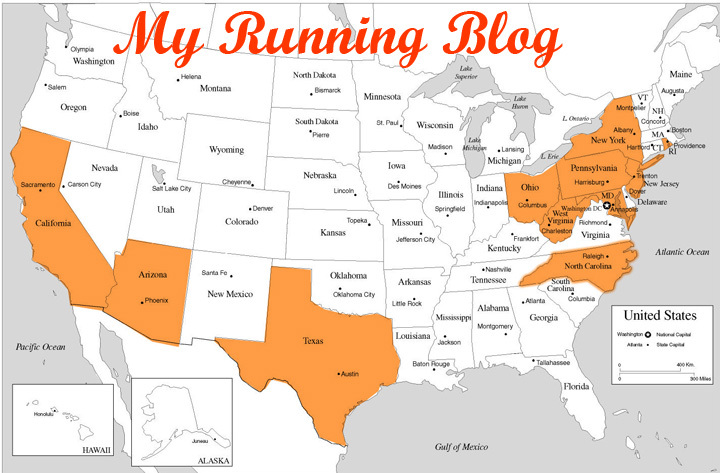 I had a good year for running and for life in 2012; I ran 2235.01 miles or 273h’23m’21s’ this year and a lot of good thing had been happen to me; I think I am gonna need a few days to review them before I blog them up here. In the mean time, happy New Year everyone!